Allow your guests to announce their presence with this loud, clear knocker bell. 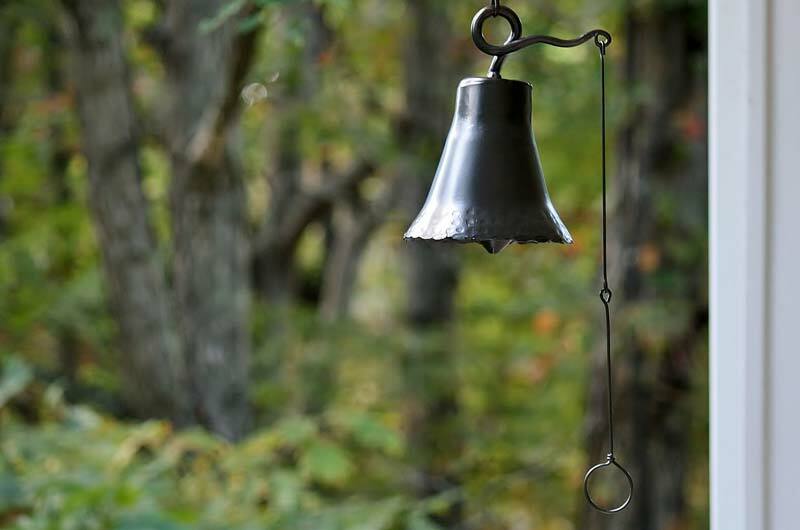 Perfect for your porch and easy to mount to any bracket or hook, this bell is made from wrought iron and lends a rustic look to any porch or entry way! Made of wrought iron.